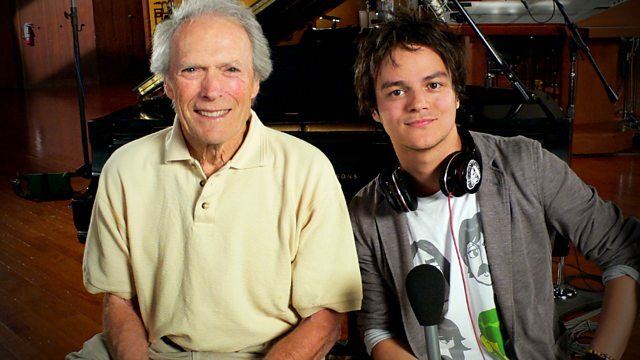 Clint Eastwood takes Jamie on a musical journey of his life in a special interview recorded at his LA production studio. The first of a two-part special in which Jamie visits Hollywood actor, director and producer Clint Eastwood at his production studio in LA, the place where he records the scores for his films. Clint talks about the humorous side of jazz and how that has changed over the years, about the clubs he used to visit in his youth and about the legendary artists he would go to see perform, or even mingle with as well as his time in the army and the musicians he met there. In a warm, personal interview, we see Clint Eastwood from a different angle, reunited with Jamie who he worked with on the soundtrack for Gran Torino, and talking passionately about the music he loves. Play Misty For Me (Soundtrack). Live At The Manne Hole. Catch-up with the best in Jazz from across the BBC.